Customer Experience is key for Airlines business. While Airlines do their best to provide seamless experience while optimizing on business efficiency, Estimates show that airline spend on security has increased 25% over the last year primarily due to data collection & transmission, capital expenditure, security delays and diversions. With a volatile economy, increasing operational cost and increasing passenger volumes, it’s an opportune time for airlines to improve operational efficiency, perform large scale transformation and deliver a highly differentiated customer travel experience. These can be achieved by relying on actionable analytics, improved e-commerce strategies, robust backend operational systems and social media engagements. 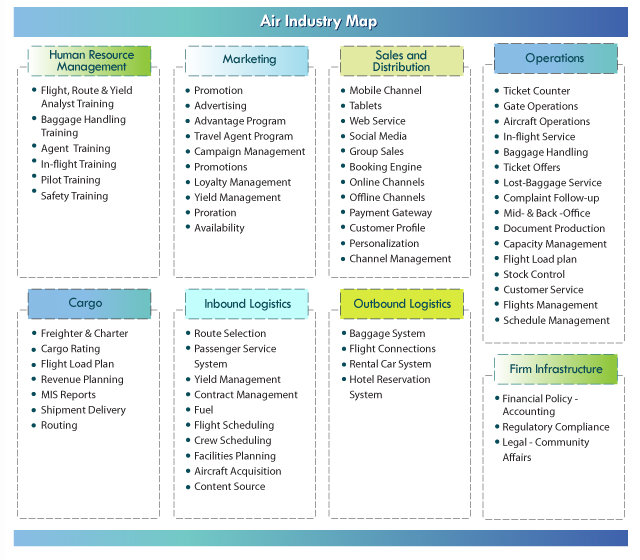 Happiest Minds Technologies has crafted a unique blend of services and solutions for the Airline Industry. Our services are based on the core technology pillars of Cloud computing, social computing, Mobility and Analytics that are best suited for the travel industry.